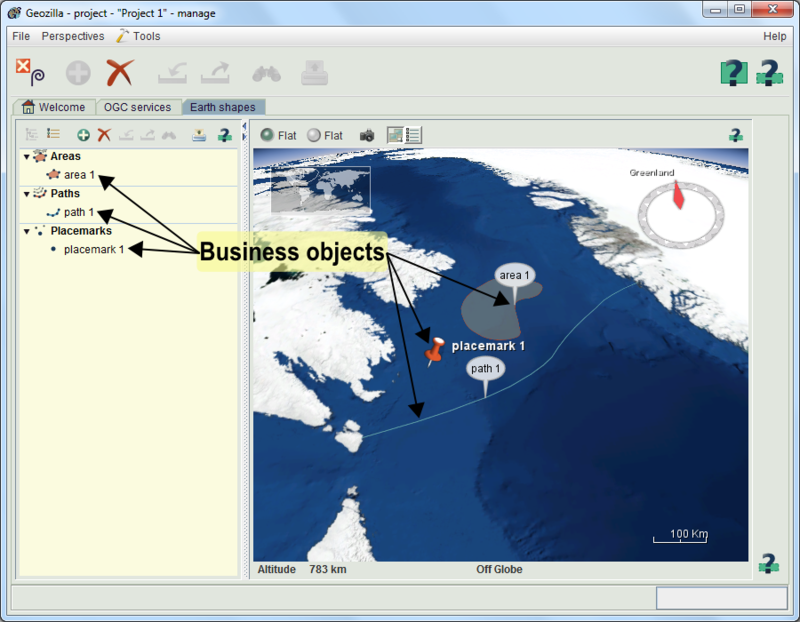 Geoforge uses business objects in its platforms. Business objects are a modelisation in a software of real geosciences objects used by geoscientists. They could also correspond to only geographical data as Earth shapes.